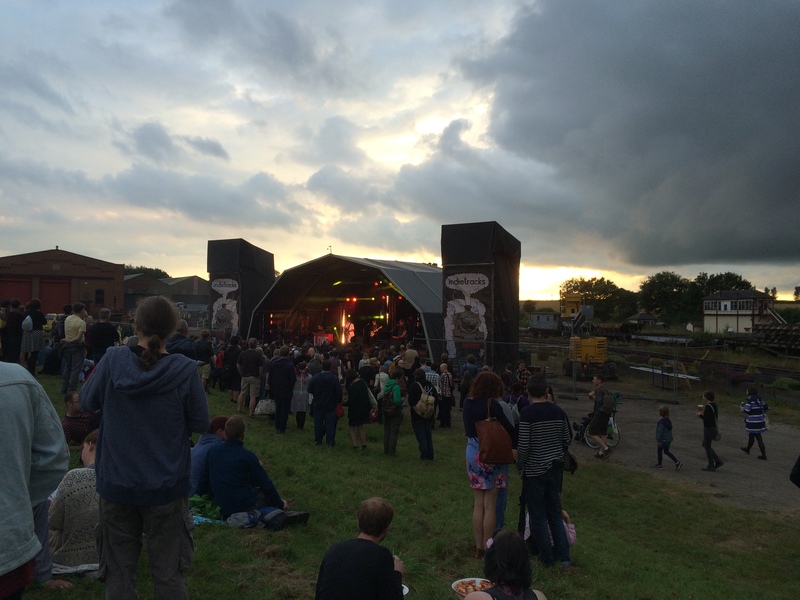 This year’s Indietracks festival coincided with Derbyshire’s other music festival, Y Not. 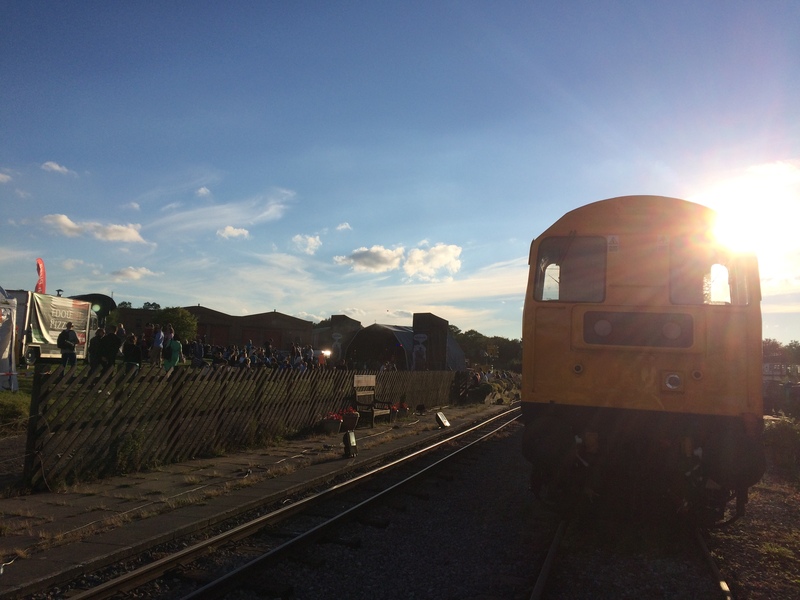 And while Y Not has grown into a frothing behemoth to which 25,000 people attend, Indietracks has kept itself grounded. And rightly so. 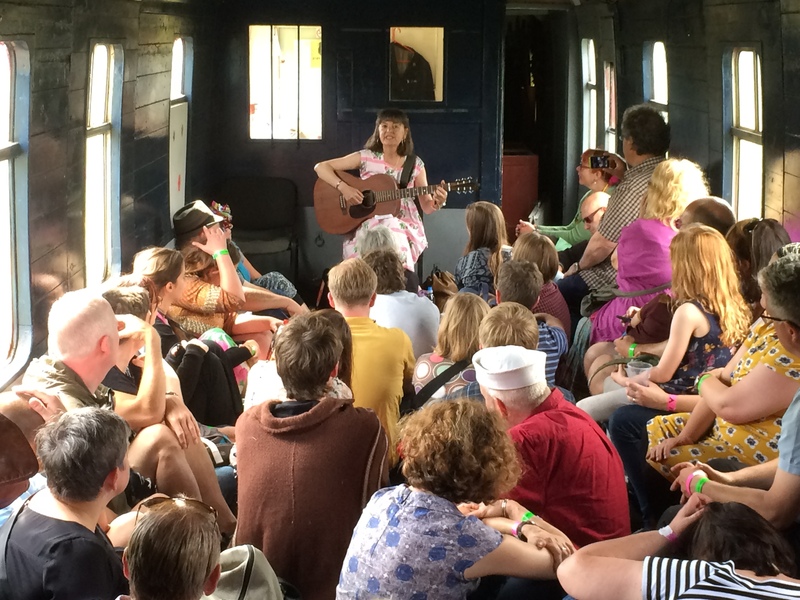 It’s its inherent intimacy that makes Indietracks so special. Year upon year the same friendly faces return, making it into a kind of community that thrives in a small field, an engine shed and a small tin tabernacle church on a preserved railway at Swanwick Junction, the halfway point on a four-mile stretch of vintage railway owned by the Midland Railway Centre that winds through lush green countryside. It’s both idyllic and unique, and 1,500 or so come to watch cult bands, old indie stalwarts, Indietracks regulars, new bands with just one EP to their name and bands that no one’s ever heard of. Kicking off this year – it’s 10th birthday, having began back in 2007 with two mini-festivals – are Nervous Twitch, Simon Love and The Old Romantics and zany Scottish pop-punk festival favourites, The Spook School. Their feel-good factor is the perfect way to start the weekend’s birthday celebrations, even if they do an indie cover of the Venga Boys’, er, classic, The Venga Bus. But we’ll forgive them, as they actually make it work! On Saturday, the festival is busy. It’s clear that many saw this as the best day, and you can’t argue if you take a look down the roster of bands. Bearsuit, Emma Pollock, The Lovely Eggs and Saint Etienne have clearly pulled in the punters. There’s a surprise in the merch tent before those bands, though. 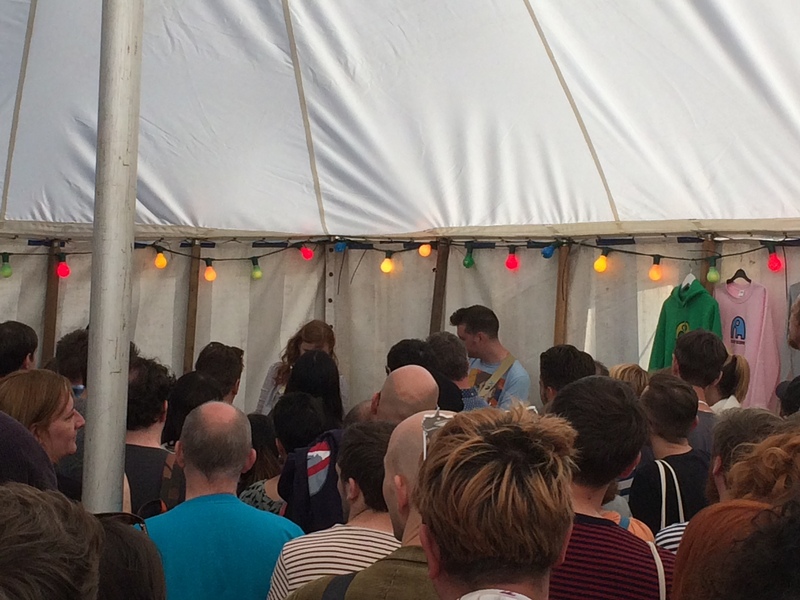 Festival favourites The Just Joans have turned up to play an acoustic set in the tent’s corner, attracting a tent-busting crowd. Their song ‘If You Don’t Pull’ prompts a sing-along, and you can’t help but try and replicate their thick Scottish accents. It simply doesn’t work sang in your normal voice. Bearsuit have reformed for just two special shows this summer, with Indietracks lucky enough to be one of them. This sextet are a crazy bunch. They take to the outdoor stage in matching pink capes, and dazzle our eardrums with a mash of fuzzy guitars, glitchy synths and space-jazz. Probably. Who knows how to categorise them? It’s like complex math-pop roughly chopped with Bis’s insane wonk-pop. This, they say, is their last ever show, and they can’t be bothered to transport their merchandise back home so they give it away after their set on one condition: anyone who picks up an album must donate to Sarcoma UK – a cancer charity close to the festival’s heart as Camera Obscura’s Carey Lander died from bone cancer just last year. And it wasn’t just spare change people were chucking into the collection bucket. Notes of all sizes were generously tossed into the bucket in her memory. Good call Bearsuit, good call. Emma Pollock used to be in Scottish indie shoegazers The Delgados. Since their demise, she’s cut a successful career for herself, telling tales of growing up in Galloway, love, loss, despair and how JFK Jnr died via a sophisticated blend of indie and folk. Her crowd listen intently, entranced by her searching vocals and filmic sounds. The Lovely Eggs, on the other hand, are anything but sophisticated. They’re the chaos after the calm. Holly and David, a married couple from Lancaster, are at Indietracks for the third time, but this time they have a hardened fanbase who form a moshpit in the engine shed. Indietracks is not renowned for its moshpits, so this was quite something, and your reviewer (38 years young these days) couldn’t resist in getting involved. The duo are superb. It’s raw, DIY punk-rock. It’s a bit profane, it’s rough around the edges and – when red and yellow balloons drop from the ceiling during the climactic end to ‘Have You Ever Heard a Digital Accordion? – it’s silly, bonkers and utterly, utterly fantastic. They don’t know it yet, but they are the highlight of the festival. 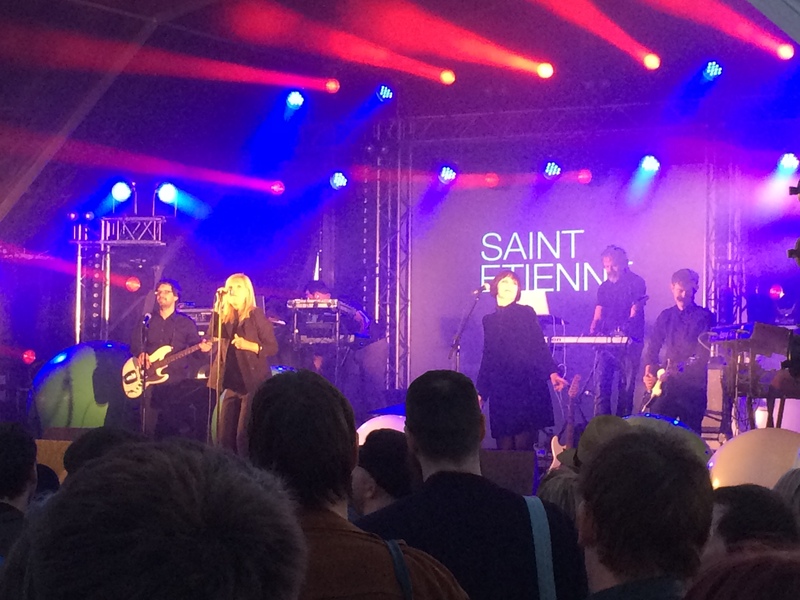 Trying to top that are Saint Etienne, Saturday’s headliners on the now chilly outdoor stage. They offer something completely different again. They cannot be described as rough or raw, and their songs are polished gems. Classics like ‘Who Do You Think You Are?’, ‘Hug My Soul’, ‘Pale Movie’ and ‘You’re in a Bad Way’ are delightfully slinky, and you can’t help but shake your derriere, while the emotive, cinematic ‘Hobart Paving’ brings tears to the eyes of grown men. I think. Just me then? Oh well. Sarah Cracknell has maintained her silky voice, ensuring that they’re pure pop. They are, in a way, the perfect Indietracks headliner. If we’re being honest here, Sunday is the poorer of the two main days, on paper at least. However, sometimes the music at Indietracks is secondary. If you don’t fancy seeing a band, pop into the marquee where there are workshops that include designing tote bags, life coaching by The Spook School’s eccentric drummer Niall, to Tea and Tasseomancy. 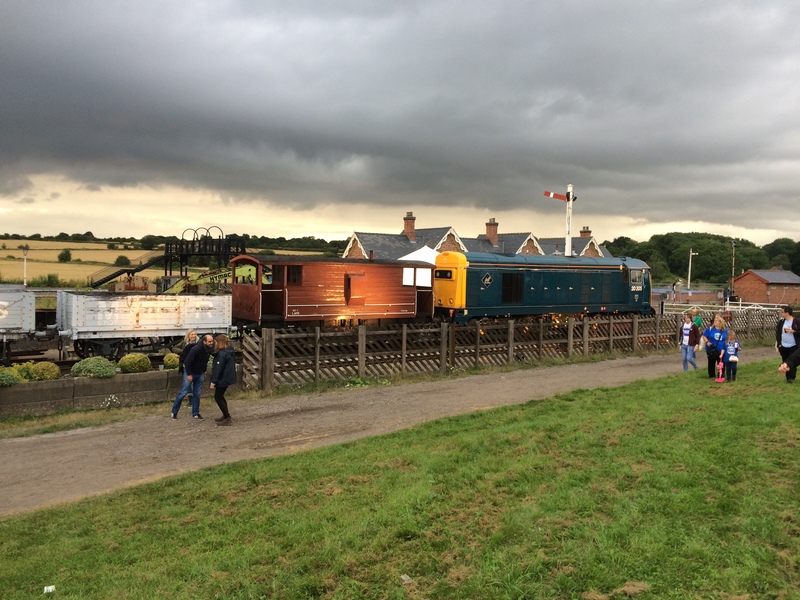 Or you could join a museum tour, jump on a train or just enjoy the real ales and ciders. Music is to be found on the train, too, as it meanders through the Derbyshire countryside. Former punk Helen McCookeryBook (great name) has a more relaxed sound to her these days, and although her folk tales are charming, the clickety-clack of the train drowns out her soft voice a little. 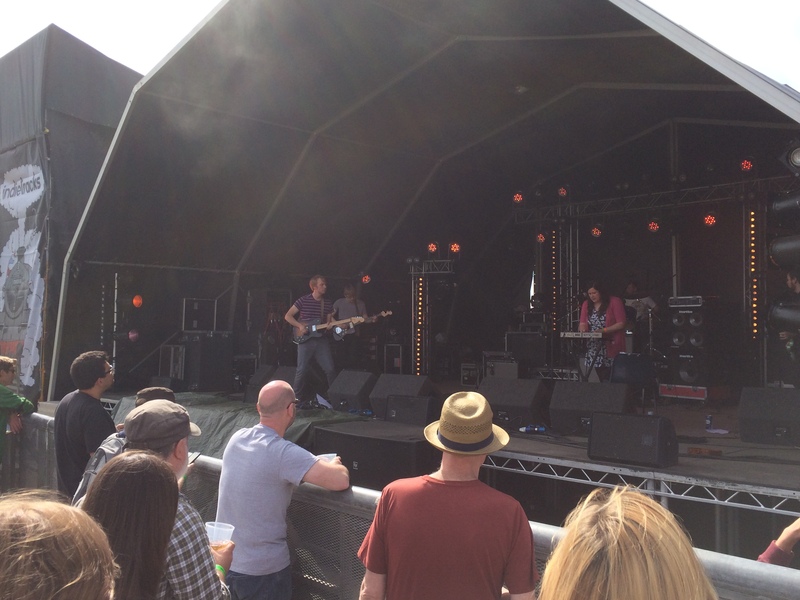 Back on site, North Wales outfit Seazoo are making a quite brilliant racket on the outdoor stage as once again the sun bathes the Indietracks crowd. Their spritely indie is excellent, though their Baby Doll’s Head noise-emitting instrument thing is both weird and unnerving. You had to be there. Elsewhere Girl Ray sound like Gorky’s Zygotic Monkey fronted by girls, Ay Carmela are your new favourite DIY indie/punk band from Uxbridge so says their Twitter bio – and no one’s arguing that – while Derbyshire’s own instrumental experimentalists Haiku Salut sound like Radiohead without the whiney bull crap. Theirs is a uniqueness seldom seen or heard. Next up are two indie stalwarts. Darren Hayman has teamed up with Bill Botting, best known for being the moustachioed guy from Allo’ Darlin’, and in the engine shed are Comet Gain, one of the main draws of the day. Headlining are a band that Indietracks are quite proud to include at their birthday shindig. The Aislers Set don’t play over here a lot, so to have them headlining is something of a coup for Team Indietracks. They produce a steady, accomplished set of American indie and round off the festival nicely, before the 10th Birthday Party in the engine shed begins the ending. Once again Indietracks has been captivating. It’s a tiny little bundle of joy in a musical landscape dominated by corporate monsters. It’s a festival like no other, a huddle of people and bands forming one big happy family. Happy 10th birthday Indietracks, great party.